Bird populations in the Mojave are plummeting for lack of water, in an imbalance driven by climate change. A new study from UC Berkeley finds shrinking rainfall has led to the loss of more than 40 percent of bird species, in a habitat that relies heavily on birds for basic functions such as pollinating plants and acting as both predator and prey. This collapse of Mojave bird communities, say the authors, is a precursor to the overall loss of animals and other biodiversity in desert climates. The Mojave, which recently won the unenviable record for world's hottest month, routinely gets less than 2 inches of rain a year, a fraction of what most deserts receive. Yet even that small amount makes a huge difference, scientists found. During a three-year survey of an area larger than the state of New York, senior researcher and UC Berkeley professor Steve Beissinger and his collaborator reported that today, there are 43 percent fewer bird species than existed in the desert a century ago. And of 135 remaining species surveyed, all but 3 were in some stage of decline. This work follows up on a previous UC Berkeley study done in 1908 by Joseph Grinnell, the original Director of the Museum of Vertebrate Zoology at Berkeley. Known for taking extremely detailed field notes, Grinnell's study is rare in that it contains enough detail for modern researchers to recreate it. So researchers were able to look at the same sites Grinnell surveyed 100 years later, and compare their results to his list of birds present in the Mojave at the turn of the 20th century. “Grinnell definitely had a sense that he was giving us a record of what California was like in the early 1900s,” Beissinger says. “He gave us the gift of a baseline." And now, with the "partial collapse of the avian community," the baseline has shrunk to around half the number of birds per location, compared to a century ago. Why this matters has to do with the unique harshness of desert environments. Because deserts cannot support many large carnivores such as bears or mountain lions, birds become more important in the food web. "Birds are important seed dispersers, pollinators of plants, and top-level desert carnivores," Beissinger says, "This collapse in the avian community indicates an imbalance in the Mojave. Maybe it's an early warning system." As an avid wildlife photographer, David Lamfrom, Director of California Desert and National Wildlife Programs at the National Parks Conservation Association, says it has been clear to him for years that birds are disappearing. "It's the greatest fear for conservationists," he says. "When you consider the Mojave is one of the quietest places on Earth, you begin to appreciate how rich birdsong is. Especially in its absence." The one species doing well under these new conditions is the common raven (Corvus corax). Both Beissinger and Lamfrom say this should not be a surprise. Whereas many desert birds are specialists who target a specific food resource in their habitat, such as a golden eagle who learns to hunt jackrabbits, ravens are generalists who can make do with what is available. "They're able to live around humans, fly long distances to find water, and eat so many things," Beissinger says, pointing out that much of their food these days is picked from trash cans and litter. Climate change can mean many things: warmer average temperatures (often with extreme spikes), reduced rainfall and more droughts, increased risk for fires, and more violent storms. When researchers looked to see what was causing the losses in birds, they found it was the loss of rain -- not warmer temperatures -- that most accurately explained the changes. Most locations Grinnell had surveyed are now drier, receiving as much as 20 percent less rain than a century ago. Springs and pools that traditionally supported desert wildlife are disappearing, and birds are losing water-rich sources of food. "Water is life, and water is fundamental to the desert," says Lamfrom, "and the availability of water in the desert is having a real profound effect on how species can continue to survive." The study also found that for many species, it came down to habitat preference and diet. As previously-reliable water sources dried out, so too did many seed-bearing plants which provide food (and water) for birds. As a result, many birds were forced to either travel long distances to better areas or to remain close to those few sites of refuge. Both strategies put them at risk of poor health and predation. According to Beissinger, the damage is so severe because so many desert species already exist at the absolute edge of their bodily tolerance. Even small increases in heat or decreases in rainfall can lead to lethal dehydration and overheating. In a series of studies, researchers are doing a broad resurvey of all of Grinnell's sites in the state, including those in the Sierra Nevada and Central Valley. In areas with lower temperatures and more reliable access to water, bird populations also dropped, but these are minor losses of close to three species per site. But it's nothing like what is happening in the Mojave, where sites lost an average of 18 species. That this is happening in the Mojave at all, Beissinger stresses, is significant. "It's a shot across the bow that climate change is happening even in our national park jewels." 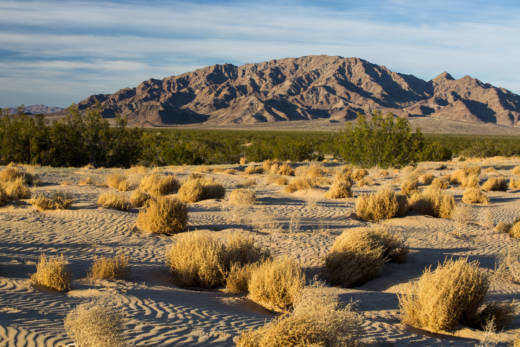 Much of the Mojave is protected from human disturbance because it lies within either the Mojave National Preserve or Death Valley National Park. This keeps it safe from habitat loss, development, and hunting. A whopping 91 percent of Death Valley National Park, the largest national park in the lower 48 states, has been designated as wilderness. These are places we expect to be immune to the effects of people, Beissinger says; that these results can be so dramatic in a place as remote as this speaks to the necessity of addressing ongoing climate change. "We know these climate change problems are big," he says, "and they really require us to address them now." Lamfrom, too, points to other protected areas where birds are disappearing. 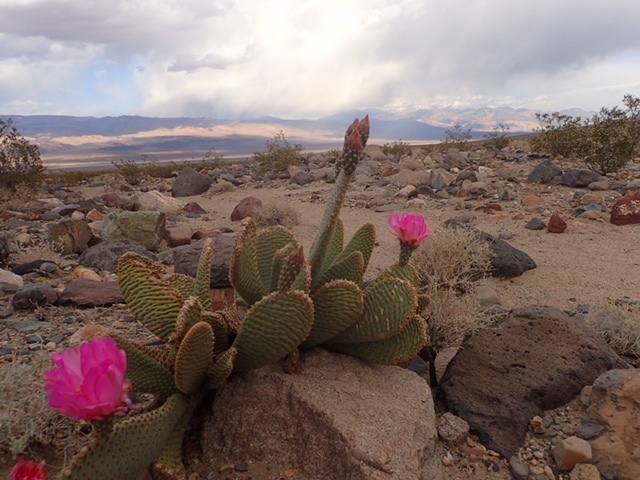 Joshua Tree National Park, he says, was once home to a healthy population of mountain quail. "It's a really unique bird, but it's also not a bird you would usually think of when you think of places like Joshua Tree," he continues, "You'd probably think of a place like the Sierras." 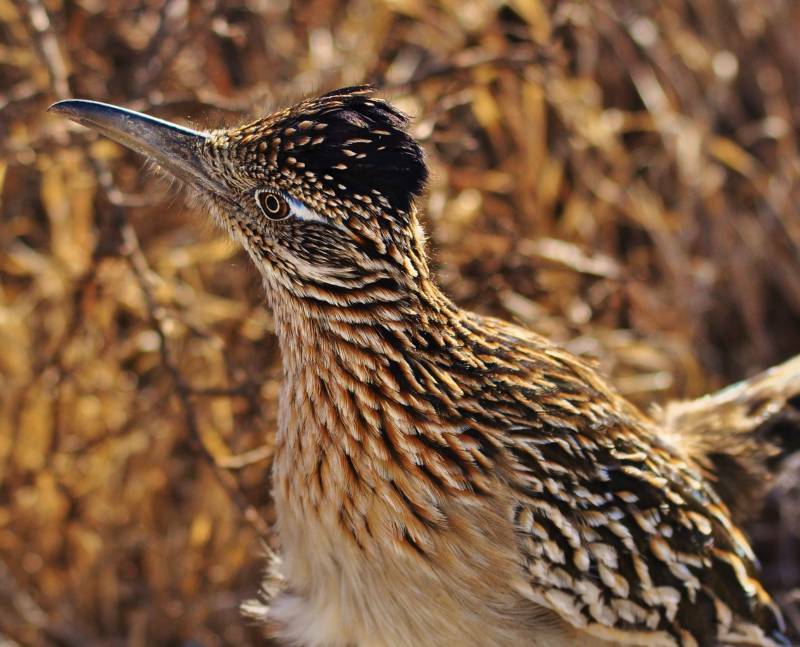 Recent surveys have failed to find the iconic California bird in Joshua Tree. As deserts across the country continue to become hotter and drier, Lamfrom says, perhaps the quail are returning to their namesake homes in the mountains. "Mountains can provide isolated pockets of protection," Lamfrom says, "Many species are being pushed to higher altitudes to get away from the heat." When asked what can be done to help ease these effects in the future, Beissinger says the short-term solution is to place artificial water sources throughout the park for local wildlife. These might include small ponds or troughs with reliable access to water. "Think of it as a big bird-bath in the ground," says Beissinger. The longer-term solution has to involve managing groundwater, Beissinger says, because when aquifers are overdrawn, it's the desert that dries out first.